To an Unknown Shore comes across as a meditation on the life’s journey and the world beyond the one known to the poet. 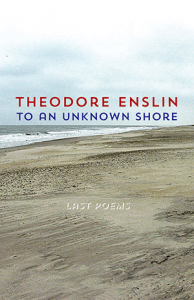 In this melancholic collection, Enslin cruises through his memories, ignited by a stolen kiss or an old family photograph. 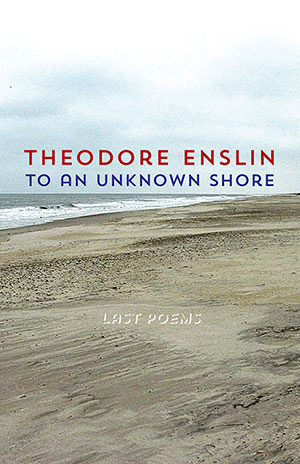 His poems’ simplicity grabs the reader by the heart, pitch perfect for what needs to be said to encapsulate a feeling or a thought that’s both powerful and universal. much of it what’s not known. to hear before the echo. This last poem hints at one more important part of the book: the aspect of passing. For in the same way the sound passes us by, so do we pass by the world ‒ experiences returning as memories which echo the original moment and eventually becoming also sound in the minds of others. a way to walk and say goodbye. The collection is as thought-provoking as it is moving, and can be enjoyed time and time again, with an occasional tear running down one’s smiling face.